Why Is Epic The KLASiest Vendor? EPIC – what unique thing about Epic garners them such high scores? It might be a facet of their implementation approach, which is also a cause of their costs. Epic requires two full-time individuals from every department (a primary and secondary) be assigned to the project. These individuals travel to Verona for about six weeks of intensive training about the Epic way: corporate philosophy, style of doing business, system set-up and operation, etc. So for a typical client of Epic (generally 400 beds and up), many hospital employees from every department get trained: Access, HIM, Patient Accounting, ED, Lab, OR, Nursing, Radiology, Therapies, MD practices, etc. Do these people really learn anything at Epic? You bet they do, as they are tested and, if they fail this “certification” process, they are sent back for replacements. Those who pass have their names recorded, and every time your hospital calls for support, the callers’ names are checked against the list of graduates – if the caller is not certified, you are charged an hourly rate for the support call. If they’re on the certified list, no problem, it’s included in the existing support fees. So, for the 400-odd (sic) Epic hospitals who have sent thousands of their employees to Verona for this multi-month orientation, the Epic way becomes the way for HIT, and they become true believers. When they log onto the KLAS web site to post a review, their scores may reflect their commitment to the Epic philosophy. To be sure, this not only makes for high scores in KLAS, but also very good installs, as these certified Epic users proselytize the system on every shift and floor. To keep their costs down, most feature “train the trainer” where they instruct only a handful of employees (IT and a few key depts. like nursing) at corporate HQ for a few days or a week at most. Other vendors perform the majority of their training on-site at the hospital, enabling larger class sizes but, of course, all the distractions of overhead pages and other interruptions. Siemens probably deserves the highest marks for its series of training classes in Malvern, and other vendors like Cerner have superb instructors who do a very good job too. But none get the undivided attention of so many users for so much time as Epic, so when clients go to the KLAS site to score their system, they reflect this deep affiliation with the company. Fees – KLAS is a very profitable firm that sells its reports to vendors and hospitals alike: thousands of dollars per report, with literally hundreds of reports available. How much of KLAS’ revenue comes from vendors, versus how much from hospitals? And of the vendor revenue, is there any correlation between a vendor’s scores and how much they buy from KLAS? It would be nice to see a list of fees by vendor to make sure that no favoritism is being shown. Job Description – just who is rating the vendors: executives, CIOs or end users? And for the end users, how many are front-line clinicians (RNs and MDs), versus clerical types in access or finance. After all, who else should rate a CPOE module besides MDs? And how many are C-Suite versus hands-on users? 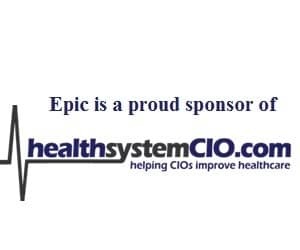 There is an enormous difference in the rating of an EHR from a CFO or CIO, versus a floor nurse or medical technologists. Large (400+ beds)= Siemen’s Soarian, McKesson’s Horizon, Cerner Millennium, Allscripts Sunrise, GE CareCast, etc. Medium (100 to 400 beds) = Meditech, McKesson Paragon, Siemens’ Medseries 4, QuadraMad, Keane, etc. Small (under 100 beds) = CPSI, Healthland, Meditech, HMS, Keane, NextGen, etc. So just which bed sizes are represented by each KLAS score? They’re all lumped together right now, but as vendors like Cerner and Epic start to sell to smaller and smaller facilities (Cerner is targeting CAH hospitals lately), it would be very helpful to see how a vendors’ product scores vary be bed size. So Epic’s unique approach to education and training may be giving them an advantage in the KLAS scoring system — they have built an enormous user following and their scores reflect it. And if KLAS could provide the above information about their business and respondents, one could have far more confidence in the validity of their rankings. Until other vendors copy these mass-education techniques, or KLAS answers the above questions, it is hard to say if Epic really has a better system or just a better score-generating philosophy.